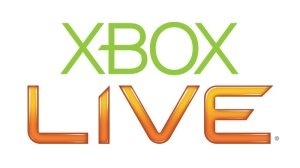 Netflix Coming To Xbox Live? The possibility of a formal agreement between Netflix and Microsoft gained some steam today, with rumors swirling around this week's Game Developers Conference. MSNBC's Kristin Kalning reports that both companies are being coy on the subject, but such an agreement seems possible and beneficial. With Microsoft already pleased with the performance of the XBox Live Video Store, such an agreement could be a coup for both parties. Rumors first started floating around at various blogs when a Netflix survey surfaced, asking questions like "If, as part of your Netflix membership you could instantly watch movies and TV episodes on your TV with your Xbox 360, how likely would you/anyone in your household be to do that?" This, along with Reed Hastings, Netflix's CEO, joining the Microsoft board of directors last March have intensified rumors over the possibility of such an agreement. Comparing XBox Live's library of 300 movies to the 7,000 available through Netflix's recently-launched Watch Instantly service, and the company's even larger 90,000-DVD full catalog may allow Microsoft to gain some advantage over rivals Apple and the Apple TV. According to MSNBC, Microsoft and Netflix have no direct comment on the rumor so far.